The AKG MPAVL is a cable used to establish a standard microphone connection and phantom power for MicroMic wireless "L" series microphones. The cable features a mini-XLR connection and standard XLR connection for inputs on mixers, amplifiers, etc. 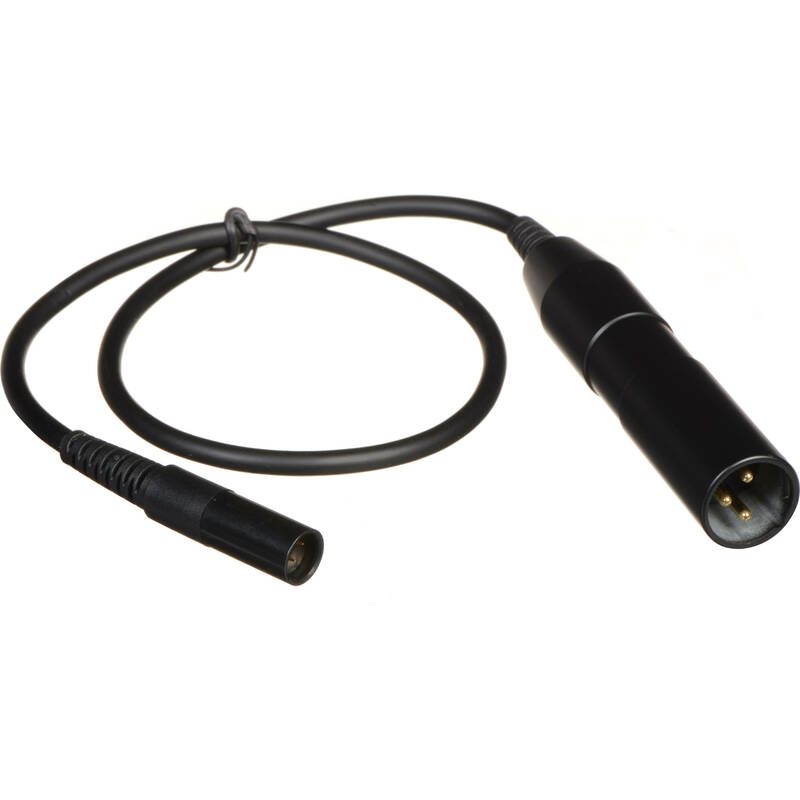 Box Dimensions (LxWxH) 6.0 x 3.6 x 2.0"
MPAVL - Mini-XLR to Standard XLR Microphone Cable is rated 5.0 out of 5 by 3. Rated 5 out of 5 by Worm Guy from Works as advertised This adapter cable works as advertised. It is a passive (i.e. it does not have a battery in it) adapter that lets you connect an AKG lavalier mic that ends in a mini-XLR plug into an XLR connector on a mixer that can supply +48V phantom power. I had just bought the AKG Perception Wireless Presenter Set with lavalier mic in order to use to record video presented tutorials. The wireless mode works, but I heard a strange high-frequency noise even when located a few feet from the receiver. With the MPAVL I am able to run the lavalier mic directly to a mixer, and the sound is definitely much cleaner. For any application where the person with the mic will stay in one place, using a direct connection like this is preferable. Rated 5 out of 5 by miladzen from good buy fast shipping fast shipping, thank you. Rated 5 out of 5 by Georgew from Great Excellent product. Can this be used with the Blackmagic Pocket cinema camera to adapt Standard XLR cables to their mini input on the camera?